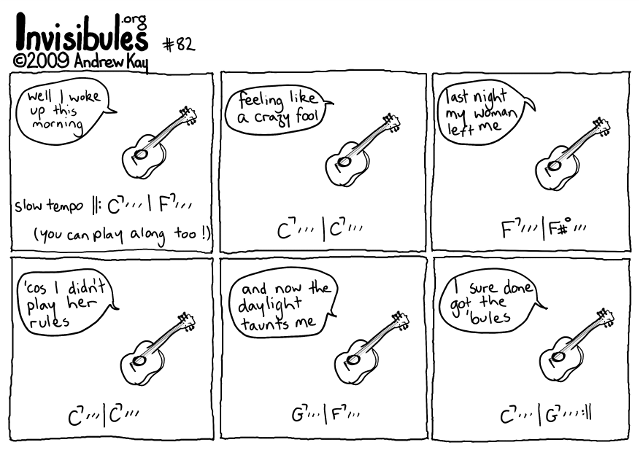 OK, music lovers, you got me singing the ‘bules. I’m making an official Invisibule music lyrics page where you can write your own Invisibule songs, and have them up on the site for posterity! This is your best ever!